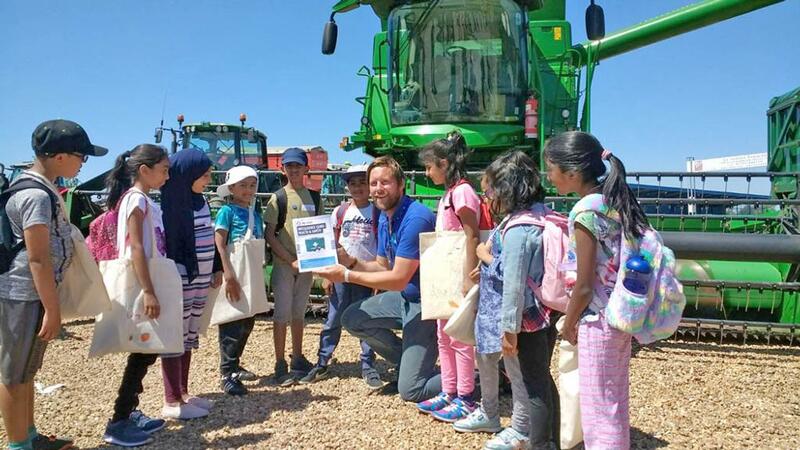 The event was run by the East of England Agricultural Society’s Kids Country education programme which was attended by over 5,000 children from 50 primary schools across the East Midlands and along the East coast. Sandra Lauridsen, education manager for Kids Country, said: “It has been a superb day and the atmosphere has been amazing. It just goes to show how popular this event is with not just children and schools, but with farmers and agricultural businesses across the region too." FG’s H&S guides were explained by farmers to the young audience, warning of dangers that can be experienced on farms, especially for those who would be looking for summer jobs with harvest just round the corner. Promotion of the guide was of particular importance this year following the recent rise in farm casualties and deaths across the UK. This was not the first FG initiative promoted at the show. In 2017, the its Take the Lead campaign was a key feature at last year’s event to raise awareness of livestock worrying and promote responsible dog ownership. The show featured 300 exhibitors from 70 companies which included food making activities, displays of modern farm machinery and technology, getting up and close to livestock and experiencing a mock-up African village.